Martijn Pronk, Head of the Rijksmuseum publications and digital media department, has been a professional publisher for many years. Specializing in digital product development he has lead various high visibility projects. 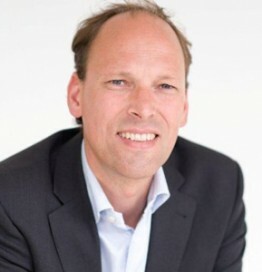 In the Rijksmuseum he is responsible for all digital and print media. The Rijksmuseum’s Rijksstudio website has won many international awards in cultural heritage, digital and design. It is a radical new way to connect with the museum’s collection. Rijksstudio has continued to be an inspiration and best practice example for museums and cultural heritage institutions the world over. Martijn is on the Governing Board of Europeana Foundation and he was a member of the jury of the Best Social Media Awards 2015.